I guess not. I believe I can provide more value if I tell you what I discovered behind the scenes. I asked myself a lot what the real deal about art fairs is. If you go past the obvious aspects of an art fair, you realise it is not only about showing off. In fact, it is a business. The business is based on people, the connections you make with them and trust. Sellers use the environment of an art fair to expose, compare and connect. Reputation is key in the world of art. The internet allows you to connect easily. However, the connection is much stronger if the gallerist can meet people in person. The chance that someone places one’s trust in you when you meet in real life is much higher. 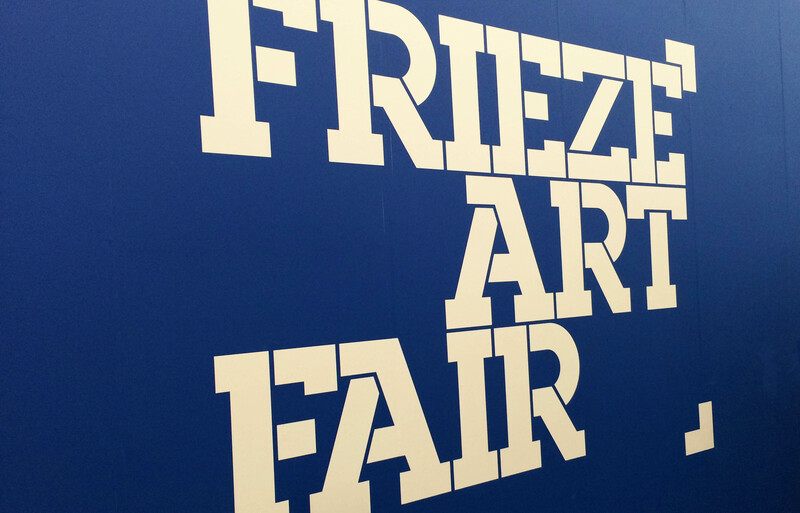 This makes the Frieze Art Fair an exclusive opportunity for galleries. People from all around the world meet and exchange their values and opinions. Do you wonder what my opinion is about art? It seems like a regular question. Nonetheless, it is not simple to answer. I would describe art as a form of storytelling. It doesn’t matter if we talk about a painting, an installation or an object. Every piece has something to tell you. It translates and expresses a story in a different language. I prefer provocative art which encourages people to think as well as interact with it. There are always two points of views. On one side is the message that the artist sends and on the other side is the viewer who receives the message. How the audience understands the message is out of control. Everyone has the freedom to interpret art the way he or she wants. There is no right and wrong. It is personal. It can create value but it can also be useless. Art can create attention for a specific topic and touch people. Personally, I distinguish between two stories. The first story is the propose of the art piece. What does the artist want to tell me? The second story is about the process. What happened during the creation of the art piece? When people start creating something new they never know the end result. It is a process and many things can happen. It is a journey towards the unknown until the handcrafts come to life. You can find more impressions from the Frieze Art Fair London on my Instagram. Especially, as a User Experience Designer this connection is exciting for me. There is a lot of potential in this field and I’m curious what is going to happen. Don’t miss this video and interview with Yana Peel, the new head of the Serpentine, on using technology to open up the art world to a wider audience.